Shopping for your next luxury car near San Diego? Then waste no more time and make the drive to Mercedes-Benz of Escondido to check out our current lineup of new Mercedes-Benz specials, including low APR financing options. You can also find an ever-changing selection of Mercedes-Benz lease specials on a range of popular new Mercedes-Benz models. This includes options with favorite features like COMAND® multimedia, premium Nappa® leather upholstery, and state-of-the-art driver assistance features, as well as performance features like 4MATIC® AWD and spirited turbocharged, V6, and V8 powertrains. Discover More Mercedes-Benz Offers Near Escondido! Use our online payment calculator to estimate monthly payments when you take advantage of one of our Mercedes-Benz special offers, and make sure to check out the trade-in value of your current vehicle as well. 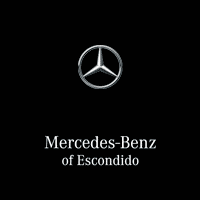 The Mercedes-Benz of Escondido team is standing by just a short distance from San Marcos at our dealership in Escondido and you can contact us at (760) 745-5000 to set up a test drive today!